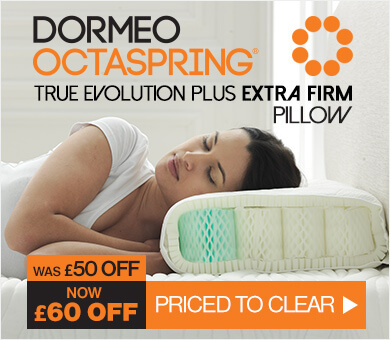 Delivery of all Dormeo mattresses is FREE, a charge of £4.95 is applied to smaller items on orders under £80. The majority of our items are delivered within 14 days, however in some cases of high demand please allow 28 days for delivery of your order. We have partnered with specialists couriers to ensure the best possible delivery experience for our customers. We can deliver to all addresses within the UK, there maybe extra charges for deliveries to the Highlands and Islands. We are sorry, but we cannot deliver to Gibraltar and Channel Islands. 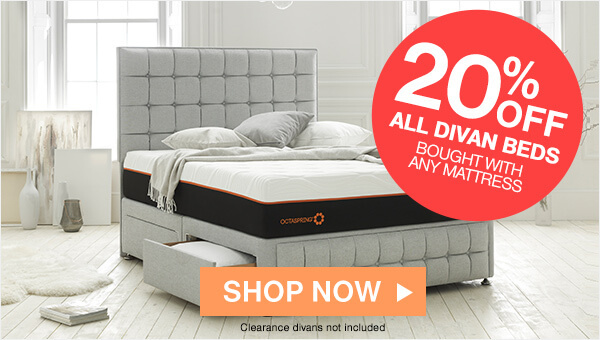 On top of that, if you purchase one of our Octaspring mattresses, you'll automatically be entitled to our free White Glove Delivery service. Our team will deliver the mattress, set up your new mattress for you, and take away your old one at no additional charge to you. Collection of old mattresses will need to be arranged with our Customer Service Team within 24 hours of your order being place - simply contact us with your order reference number. 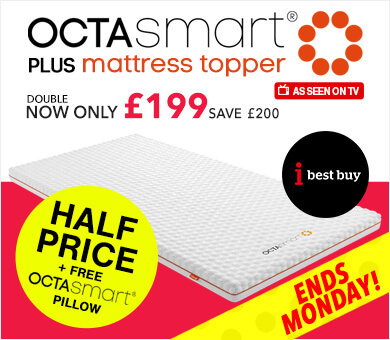 This is only applicable when purchasing an Octaspring mattresses. All Dormeo Memory line mattresses are delivered free and come vacuum-packed for convenience, cost and hygiene. 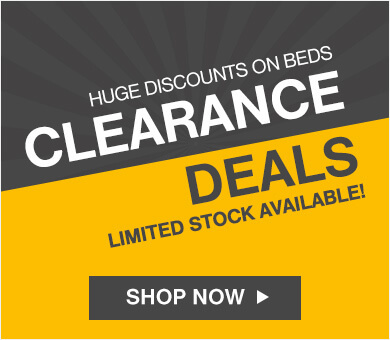 All headboards, divan bed bases and bed frames are made to order in the UK with free delivery. We despatch orders in as few deliveries as possible to keep your delivery costs as low as we can. Where possible, multiple item orders are grouped together and each order is despatched according to the product with the longest delivery time. Smaller items will cost £4.95 for postage & packing if the total order value is under £80. If you experience any problems with delivery please contact us and we will be able to assist you. We'll get back to you as soon as possible and always within one working day. Delivery times may vary during peak promotional periods, and we will keep you updated in the event of any extended delivery times. We always aim to ensure the smoothest shopping experience possible, but if you have any concerns about your delivery, please don't hesitate to contact us on [email protected] or free at 0800 625 0134. 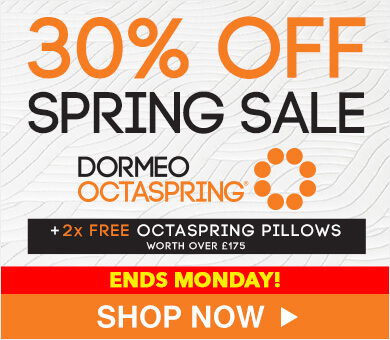 All Dormeo orders are sent via selected delivery partners DX, Tuffnells, Yodel, Arrow XL and Keen & Able. A tracking reference will be emailed to you when your order is dispatched. 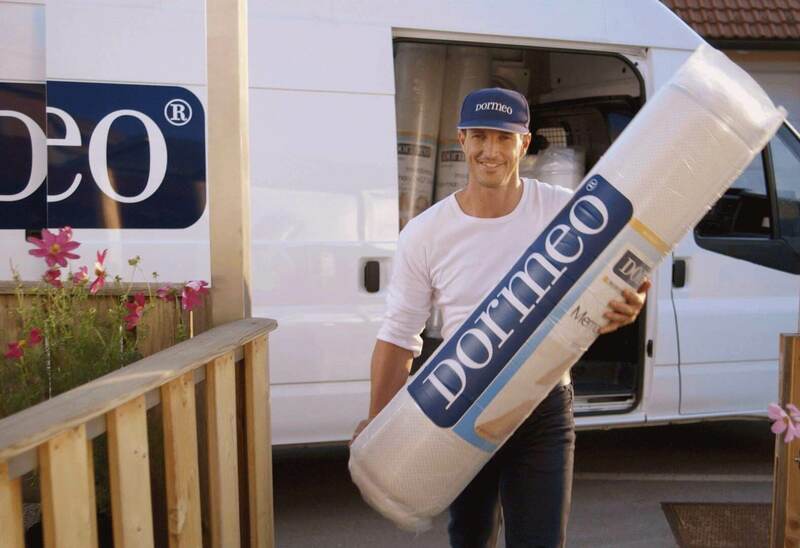 Our Dormeo Memory mattresses are vacuum packed, which enables easy transportation and excellent hygiene. Do not use sharp objects when opening the package as these may damage the mattress cover. 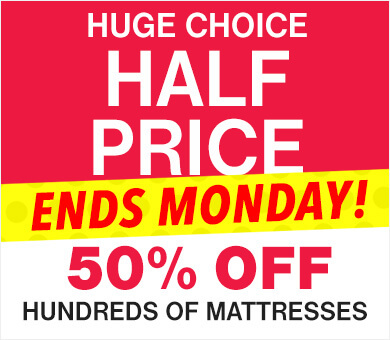 After opening, your mattress will regain its normal shape in 15 minutes and be ready to sleep on after 6 hours. For further care instructions, please read our Mattress Care Guide.